Arthur Miller’s Play, ‘Death of the Salesman’ shed light on the plight of the traveling salesman. In a time when phone calls were a complicated and costly process, the job of the traveling salesman was uncertain. Though one fictional tragic salesman did meet his unfortunate end, so-doing brought life to a different version of the salesman in modern-day reality. May we now introduce, without further delay - Telemarketing services. What are these - telemarketing services? To be summarized in a sentence - An opportunity for your business to grow and expand your customer outreach without doing all the groundwork yourself. You already have a great product or service. Now you need customers who will benefit from that product or service you are offering. Are you prepared to call those 500 potential customers? How are you supposed to handle those calls, schedule your meetings, and deliver on services requested? The crystal ball predicts a steady stream of 24-hour days ahead. Yet are you aware that there are telemarketers who are willing to find you that inch in, you’ll certainly benefit from? Outbound telemarketing is a dynamic sales approach used by your company’s telemarketers to maintain and grow your customer base. As an employee of your institution, they have access to customer database which can help them assess customer information, purchases, and patterns. That way they are able to target groups of customers to solicit their purchase of your service or product. The problems customers experienced which may have caused them to discontinue their use of your business. A thorough inquiry may very well provide useful and timely solutions and suggestions. Addressing client needs which if left unattended may lead to loss of customers and potential customers. Maintaining customer satisfaction levels is the key focus of outbound telemarketing services. Inbound Telemarketing Services are geared at answering the customer calls. I’m certain that you’ve seen those toll free numbers at the end of a TV commercial. That’s the sort of traffic we’re referring to here. Can you imagine the exact commercial is played on the television screen of countless individuals at the same moment? What if, being modest here, a thousand people decide to call at that exact minute??? Inbound telemarketing services cater to the needs of these potential or returning customers. In so doing, these customers can have someone available immediately to facilitate their purchase of or inquiry into the product or service your business is offering. B2B??? This creative acronym simply means Business to Business. B2B Telemarketing Services occurs when you allow the experts of a telemarketing business to provide you with the guidance and assistance needed to scale your business. Working as a team, your business has a greater opportunity for growth and development. Perhaps you just don’t have the manpower available to handle all the calls which may come about once your product has been shipped off. With the assistance of the right telemarketing services provider, your business can extend its reach immensely. Outsourcing to telemarketing services gives your business the opportunity to focus on making sure the product or service available is up to date with customer satisfaction. Unsatisfied customers are usually not returning customers. A greater level of satisfied customers would be sure to result when there is someone there to answer their call. With 24/7 telemarketing services available, time zones should not be a factor when a customer needs an issue resolved. That extra service would surely be an encouragement to be a return customer. Greater leads would be available which you would not have to search for yourself. Provide an outline of what type of customers you wish to target and information about the product or service your business provides. That simple. Remember, feedback provides an opportunity to improve. Useful feedback can serve as a means through which necessary corrections can be made. Additionally, the quality of the calls made on your behalf is also monitored to ensure that your customers receive the best possible service, on your behalf. Which of the telemarketing services mentioned would suit the needs of your growing business? We are eager to know which one or combination would work best to suit your business needs. Tired of your team dropping the ball by simply not picking up the phone. Or missing those once in a lifetime opportunities when all you had to do was pick up the phone and dial the number. You’re one person. And although you must have systems in place to prevent those missed opportunities from happening - bottom line is they still do. Be honest with yourself, with all the additional services which your business provides, how much time is actually dedicated to answering the phone? The correct answer is - not enough. This isn’t to say that, it doesn’t get answered eventually. But put yourself in that caller’s shoes for a minute. When you dial for customer support, a friendly voice offering assistance tends to bring an immense sigh of relief. All your anger or frustration dissipates. 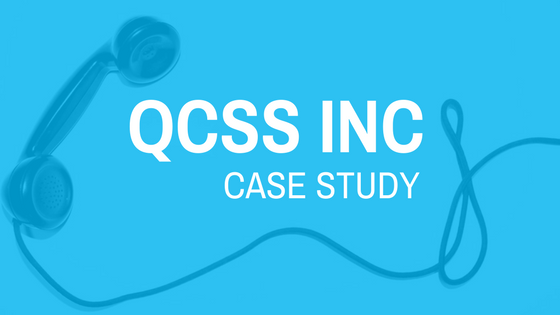 What exactly are call center services and how can they improve your business? What are Call Center Services? A call center is a special facility which serves as the go-between for customers, as well as prospective customers, and service providers. Call centers can offer a wide range of services from handling inbound and outbound calls to marketing and lead generation. Usually, when call center services are offered, they are packaged to suit the marketer’s needs. That’s awesome! It’s a wonderful thing to select a plan that’s just right for your agency. What are the most common call center services offered? What do you need to consider when decided to pick the call center services which best suits your business needs? Let’s take things a step even further with these call center solutions. How about hiring a call center service which provides useful outbound services. Improve your customer satisfaction rating. Once the data from surveys are tallied, you have a clearer idea of the steps you should take to keep your present and future customers satisfied with your business. Assist your marketing department to move forward with confidence. The data collected from surveys can provide useful intel of what your customers really want. This will help guide your marketing team to project the best way forward. 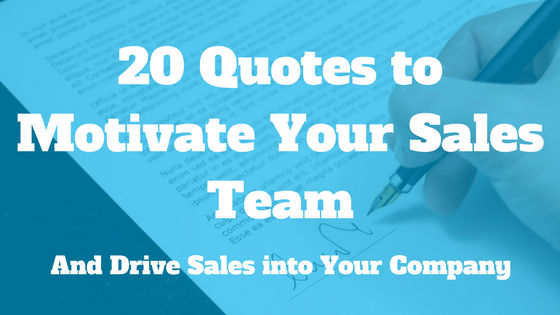 Boost your sales. Once the data is collected, you can quickly and effectively identify which products and services are doing the best and why. When the guesswork is replaced by the concrete research data, taking your business to the next level is a breeze. Collect revenue for your business. You don’t have time to chase your debtors and grow your business all at the same time. An outbound call center is a perfect solution for those pesky calls to your customers reminding them that they have a payment due. Things can get a bit busy in the office. This happens when your business has grown significantly. You create a plan to keep things organized by separating into departments. Inbound call centers offer ideal solutions. They help to keep the channels of communication running smoothly. Faster response rating to resolve issues and avoid escalations. Inbound call centers may operate manually or automated over an Interactive Voice Response system. Customers can call and listen to options to pick the department they should address their concerns to. Or an employee can operate a switchboard and connect customers directly to the department which can address their queries or concerns. Focusing on continually improving the quality of the product your business offers. If your product quality decreases, so will your customer base. With customer calls correctly handled by outsourcing to customer service call centers, your employees can focus on the tasks which grow your business. With customers connected online the reach of your business is boundless on the internet. As such customers come from different time zones. It would be a bit insensitive to expect a customer to wait until 3 in the morning to talk to an agent for your business or vice versa. Therefore a customer service call center makes that 24-hour service possible. Before you decided to consider outsourcing call center services, We’re sure you thought of what you would have said to your customer. Therefore it would be a wise move to already have a script which can be built up or improved than none at all. While surfing online, avoid selecting the first option available, after clicking search. Remember this call center service provider has to represent your institution and keep your customer related issues addressed. They must also be reputable, as they may have to be given access to various files from your business. Remember that you are also selecting the most cost-effective yet efficient call center service. Ensure the staff is well equipped and experienced to deliver a quality experience to your customers. The service, in light of the cost, should contribute toward boosting the progress of your business goals. If there aren’t improvements in customer relations, then your business will fail. Which call center service would benefit your business BEST at this time? Let us know in your comments below. Please raise your hand if you’ve ever lost a customer due to a lousy customer retention strategy. Except it might sound a lot nastier than that. Sometimes, your employees are too busy doing other work that this isn’t top priority. Well, there’s good news: retaining customers doesn’t have to be daunting. With the right strategy and tools at your disposal, you could easily be putting a new customer retention strategy in place by the end of the month. It’s time to get serious about customer retention. Let’s discuss the 5 steps you can take in order to retain more customers. 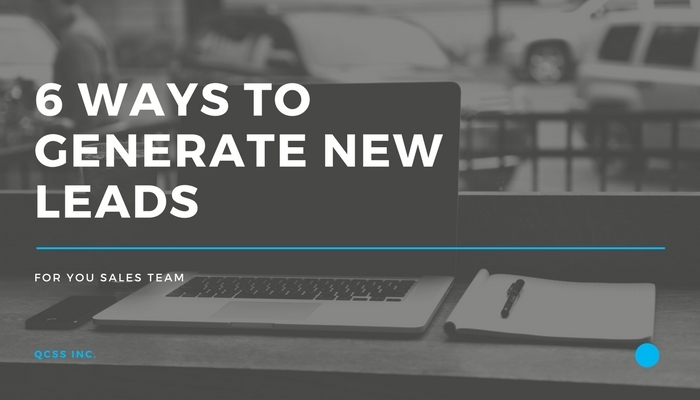 Before you even think about developing a new customer retention strategy or improving your old one, you should be sure that you are currently engaging with your audience. This could be on social media, through email marketing or on the phone. Just like you would make sure you have a list of phone numbers before calling them, you want to be sure that you have an audience that is listening and engaged. Then, you can feel free to continue reaching out to current customers. Make sure that you are talking to a relevant audience. If you don’t have the phone numbers and email addresses of current customers, this is something that you NEED to get as soon as possible. After you’ve established that you have an audience that is listening, figure out if the content you’re using is relevant to them. Now, for this step you need to ask yourself if your audience cares. Is the content that you are sending out creating a demand for your customers? This way, you won’t have to figure this out with each additional piece of content that you are planning on sending out. Always make your content relevant. Now that you are engaging with customers and using relevant content, you need to be sure that you are delivering an experience. Two great examples of companies that deliver experiences are Telsa and Disney. Both companies are much more than cars and amusement parks. They’re about delivering an unforgettable experience that the customer keeps coming back for. When it comes to customer retention, communication is extremely important. If you don’t talk to your customers for years, what will they think? Either that you’re no longer in business or that you just don’t care. Pick up the phone and call your customers. Ask them about how you can improve their experience, tell them about a new promotion or product, or develop a strategy that will keep you at the top of their mind. Think of this step as a way to nurture your relationships with your consumers so that the next time they think about purchasing, they know who to call. If you are listening to your audience, distributing content they care about, putting together an experience, and communicating with your customers then you’re almost there. The very last step of this process is to deliver exceptional customer service. To be quite honest, without this last step, nothing else matters. Your customers and clients are your most important asset to your company. So, put a smile on your face and treat them like it. Now, you’re ready to improve your customer retention strategy and start nurturing those relationships with your consumers. And you know what the best part is? Next time, putting together a new customer retention strategy won’t feel quite as daunting. Upselling should not just be a sales tactic. 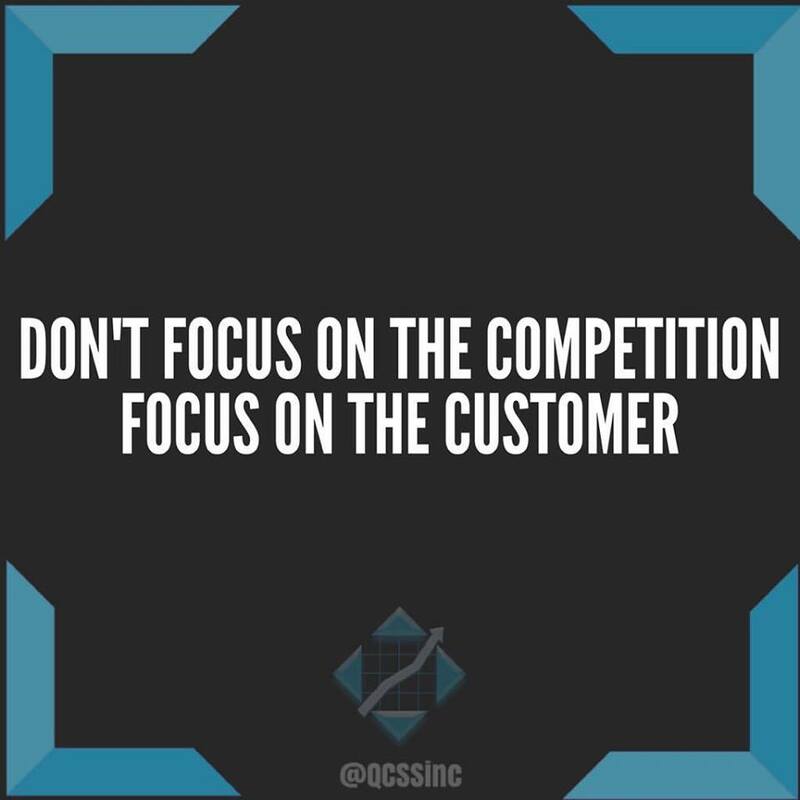 It’s about helping your customers win so that you can win too. Upselling helps your brand develop a stronger relationship with customers. Offer a bundle of 3 products for $100’s cheaper than the cost of them separately. Your customer wins because they are saving money. You win because you’re making extra money by upselling something that the person probably wasn’t originally planning on buying. Would you like some fries with that? The simple and easy upsell that boosts the sale of fries at McDonald’s. It’s relevant to the original purchase. It’s hard to say no to something that sounds like it would go perfectly with your meal. Find the “fries” for your customer and use it to your advantage. Offer them something that goes so perfectly with their current product or service that it’s hard to turn it down. 3. Does it solve a problem? If you buy a new software but have no idea how to use it, it would make sense if the salesperson tried to upsell you on training they offer. The problem was that you were buying software that you didn’t know how to work. The salesperson quickly offered you a solution that made you feel more confident in your purchase. Instead of the upsell turning you off and driving you away from the sale, it made it easier for you to make a decision. Solve a problem for your customer to make the upsell easier for you and them. Sure, upselling a product or service to somebody might mean commission for you. It also means that the customer already trusts you because of the original purchase. The goal here is not to lose the trust of your current customer. 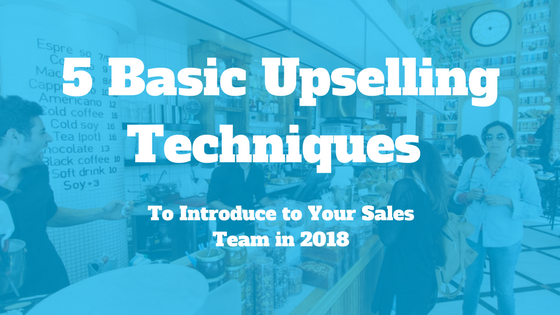 You can do this by making sure that the upsell is something that would actually be useful to them. This way, they will continue to trust you and buy from you. Wait for your consumer to purchase the original item in order to upsell. Only in certain instances does it make sense to try to upsell someone on a purchase before they actually make one. Have you ever thought about buying a new phone case, screen protector, and car charger before you actually purchased a new phone? No, the salesperson usually hits you with a package deal 5 minutes before walking over to the register to finalize the deal. They establish a need for these products so that you feel comfortable spending the extra money on the items. Never would a salesperson remind you of the phone case, screen protector, and car charger right when you walk in the door. 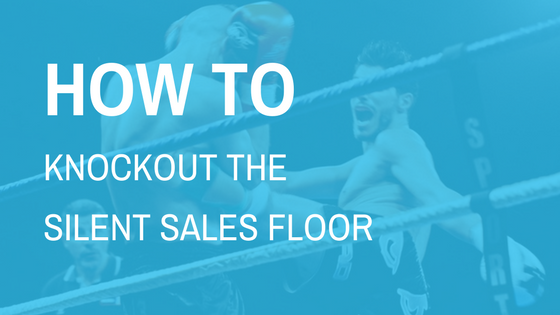 Wait for the initial sale and then use your skills on the upsell.